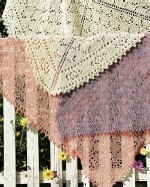 Hands-down, one of the easiest lace shawls you will ever knit. Make it in any size. 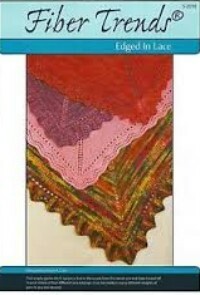 This shawl has the added advantage of growing in width faster than a standard triangle shawl. 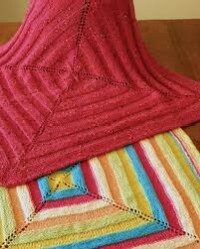 reverse stockinette stitches, creating a landscape of patterns on this shawl and scarf. 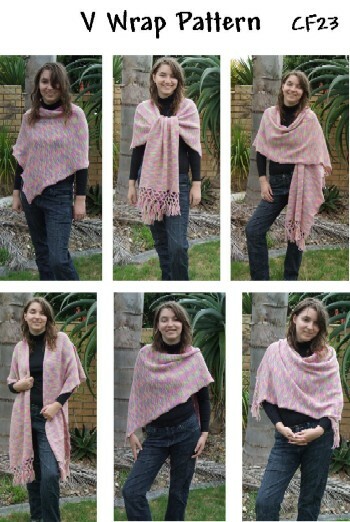 These reversible designs show off the beauty of handpainted yarns. Size: After blocking, approximately 40" (102cm) deep. Top width may be adjusted with the cast off tension from 60" (152cm) up to 75" (190cm). 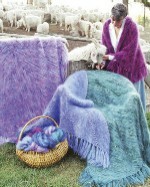 Quick to knit afghans and shawls shown in handpainted wool and mohair. 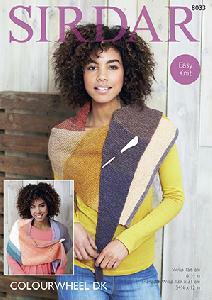 Triangle Shawl: 78 across top. 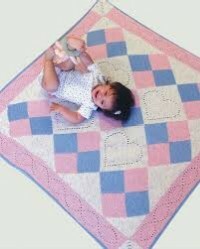 Octagon Afghan: 73" in diameter. 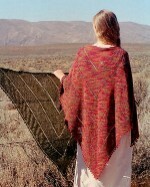 Half Octagon Shawl: 73" across top. 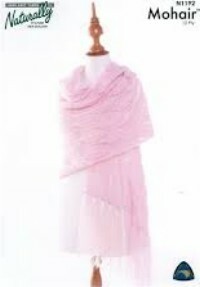 Edged with a sassy ruffle and featuring extra long "ties", both sizes can be worn in many ways. 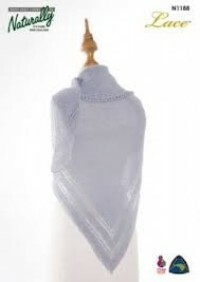 A simple pattern of 3 rows of stockinette alternating with 3 rows of reverse stockinette creates the ridge pattern. Sizes: Instructions are given for the following 2 sizes. 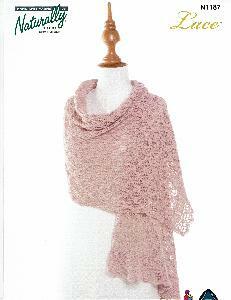 Like waves in shallow water, Old Shale lace creates ripples across this simple, garter stitch lace shawl. 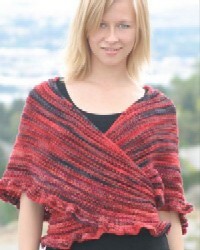 Knit from the top down, this triangular shawl is bound off with an easy picot edging. 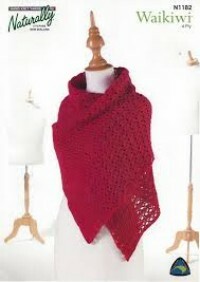 In lace weight shawl will measure about 91cm deep by 183cm across. 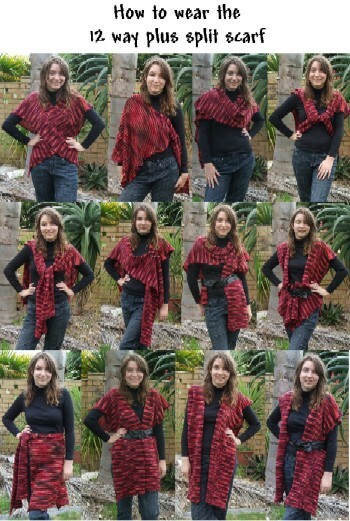 Change the number of pattern repeats for a smaller or larger shawl. 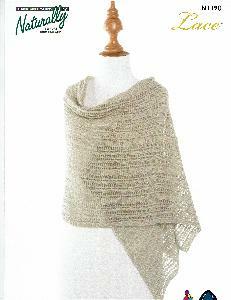 Seagulls, evergreen trees, sand dollars, water, fish and shells are depicted in lace on this garter stitch shawl. Knit from the center neck edge down, the side edges are finished with the lace shell edging, and the top is edged with I-cord. Blocked Size: About 40" (102cm) deep at center, 58" (147cm) along sides and 80" (203cm) across top. 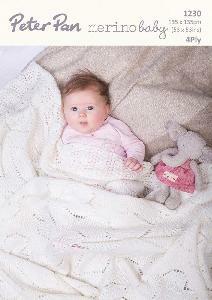 Small size uses just one ball of ribbon yarn, medium just 2 balls. Easy & fast knitting in the round. Made in a fur-like novelty yarn or light-as-air mohair, this shrug-like jacket is the perfect topper for that strappy dress. 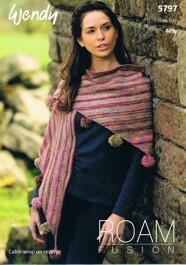 Knit in one piece from the neck down in garter stitch, there are only two very short seams to sew.